Contents: Part I:Introduction. Part II:Teaching Activities. Gender Equity in Mathematics, Science and Technology Education. Mathematics, Science and Technology as Male Domains. Peers', Teachers', Parents', and Society's Cultural Expectations. Biased and Inappropriate Curriculum Materials. Classroom Interaction and Atmosphere. Anti-Intellectualism and Attributional Style. Testing and Assessment. Part III:Assessing Your Students' Gender Equity Learning. Part IV:Action Research Projects. 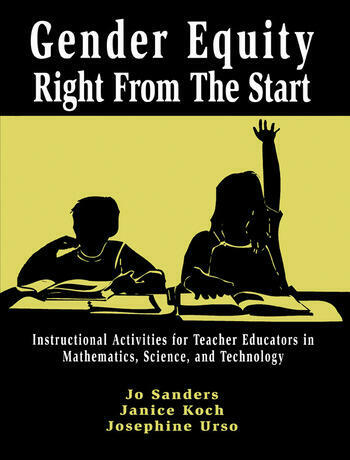 This two-volume gender-equity series with emphasis on mathematics, science, and technology is outstanding....The content is of superior quality and is comprehensive; the design and layout are user-friendly....For educators interested in gender-equity issues, these volumes are a welcome addition. The activities for preservice teachers are excellent and thorough. "Gender Equity Right from the Start is a thorough, research-based resource with excellent practical applications for those interested in gender equity issues....The book is clearly written and well organized with an engaging writing style....A major feature of these materials is the opportunity for students and their instructors to react to the activities and field experiences."